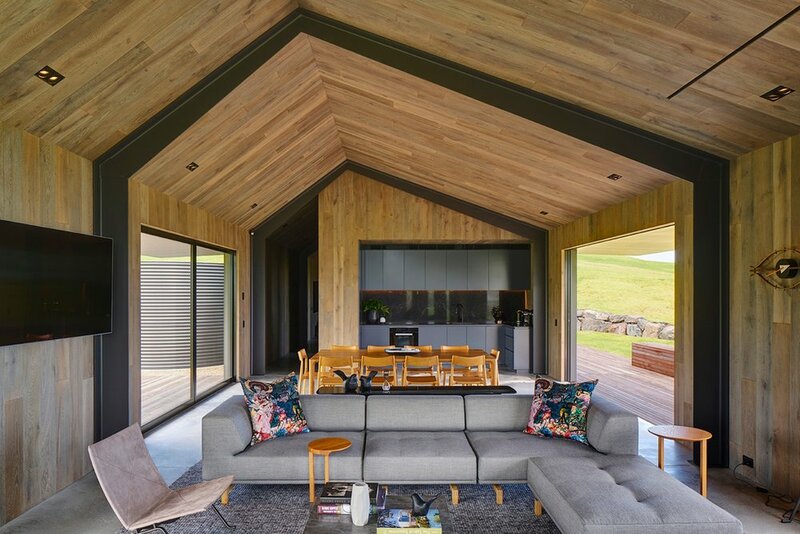 Nestled along a rolling green pasture patch overlooking the scenic grandeur of Werri Beach, New South Wales is a concept home created by Atelier Andy Carson. The Headland House, which sits sandwiched between arching cliffs on one side and picturesque blue water on the other, is an imposing structure linking three separate pavilions within the confines of a protected courtyard. 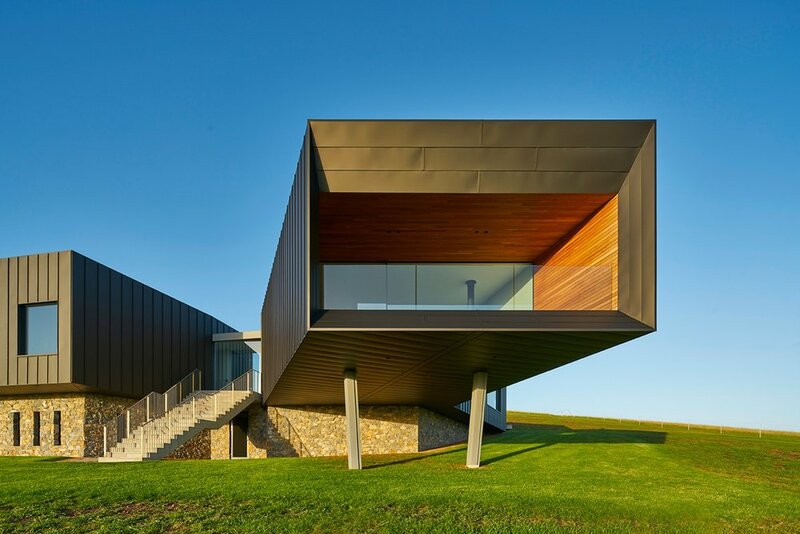 Tasked with creating an alternate viewing experience for its homeowners, the architecture firm thought to incorporate framed glimpses of the exterior landscape, as opposed to typical dwelling arrangements that provide the same view from standard wall-to-wall windows. The interior space plays into the structure’s unique layout, further enhancing the thematic flow of each area. Color schemes keep to the subtle side, with varying shades of brown and grey echoing not only through raw materials, but furniture and accessories to boot. A two-bedroom guesthouse caps of the project — providing out-of-town guests a cozy set up to relax and take in the majestic beauty of their immediate surroundings. In case you missed it, Zedd gives a tour of his $16 million USD mansion.